Duncan Turner MD uses both surgical and nonsurgical techniques to care for his patients who suffer from incontinence, sexual dysfunction and female form and function issues. 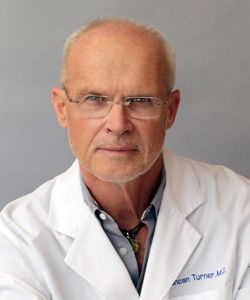 He is a board-certified obstetrician-gynecologist who specializes in Sexual Health and Restorative Medicine. Dr. Turner is a very accomplished doctor and has been practicing for over 20 years, in multiple hospitals. He went to undergraduate school at Queens College and received two degrees, Bachelor of Medicine and Bachelor of Surgery, from St. Thomas' Hospital Medical School London University. Dr. Turner is a Diplomat of the Accreditation Council for Gynecological Endoscopy. Dr. Turner has completed advanced training in minimally invasive laparoscopic and hysteroscopic surgery, urogynecology, laser surgery, bioidentical hormone replacement therapy, sclerotherapy, endovenous laser therapy cosmetic gynecology and platelet rich plasma procedures for the face and body. Through his training he is able to treat many gynecological issues such as vaginal reconstruction, labiaplasty, and incontinence.